On one of my typical thrifting adventures, I found this set of mini drawers or small storage drawers. I didn’t really fancy the painted fruit “still life” that covered it, but I DID fancy the hypothesis that I could undo the paint job and make it more my style. 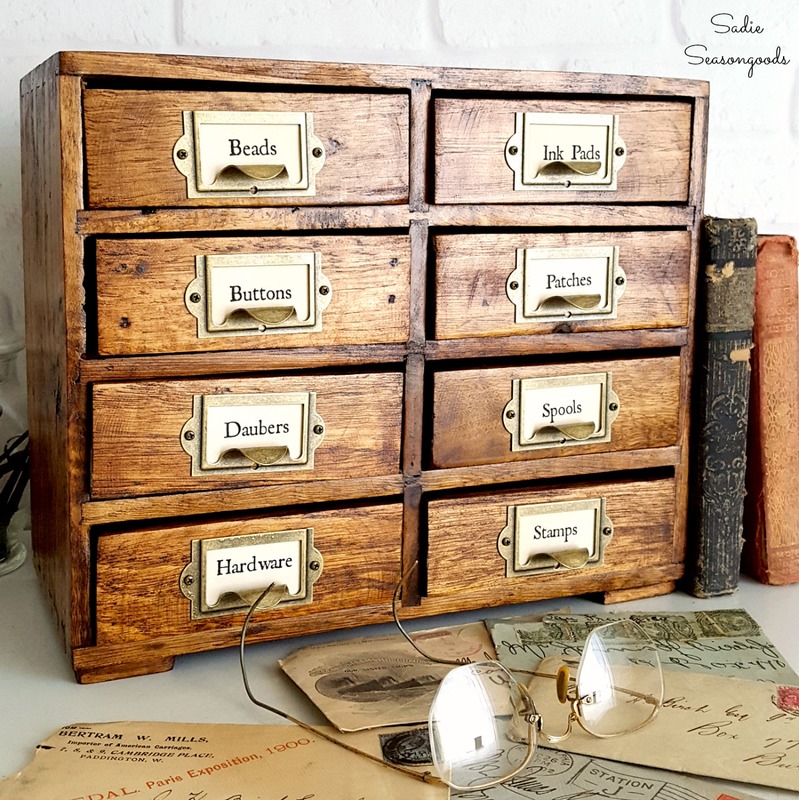 In other words, I wanted to transform it into a library card catalog and vintage farmhouse decor.